Children are sponges. They soak up what they see and hear. They often learn best just by observing. Growing up, my Dad led by example. From him, I learned about trust, standing up for what was right, and how to treat those who are less fortunate. Dad’s handshake was as good as a contract loaded with legalese. His word was his bond. As a kid, I couldn’t wait to get a “real” bike. The one I’d learned to ride on was so short I could easily stop it just by planting my feet on the ground. But when I nagged Dad for a bigger one, I’d always get the same response. He explained later – after I did get a shiny new Schwinn bike – that he didn’t want to promise me something unless he already bought it. I got that he didn’t want to get my hopes up. Life does get in the way. Unexpected bills, too much month at the end of the money … there’s no way to predict that you’ll be able to afford that special gift your child craves. 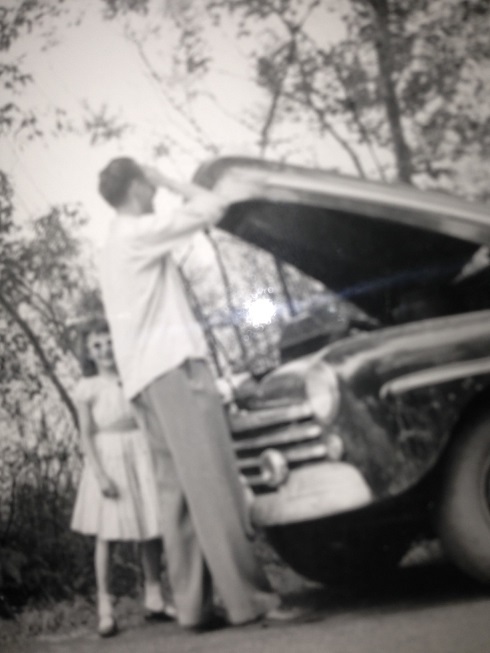 My parents grew up during The Great Depression in the 1930s and avoided piling on the debt. I don’t think they even had a credit card then. This incident left a huge impression on me. But there were other lessons along the way that shaped me. Dad was a jury foreman in a civil case involving two brothers who sued a hotel after they’d tripped over a cord that had been left on the floor. Their injuries required hospitalization. Initially, Dad was the only juror who thought the men should be compensated. He stood his ground and challenged the jurors to re-examine the evidence. When they did, many agreed with Dad’s assessment of the case and the plaintiffs won a settlement. One brutal winter night, when I was a teen, a man came to our home seeking work. We had 66 acres, but only farmed a half-acre for ourselves. So we didn’t need a farm hand. The man told Dad that he’d been fired from a neighboring farm. He had nowhere to go and was hungry. My Dad was hesitant as the man was a stranger and Dad was concerned for his family’s safety. Still, my parents didn’t want to turn him away that bitter, cold night. Dad let him sleep in our detached garage and provided blankets so he’d be warm while Mom fixed the man a hot meal. The next morning, Dad started calling shelters to see who could help this man. The Salvation Army in Syracuse, New York – about 30 miles from our home – offered the man shelter, food and some work to earn money. Dad felt that was the best option and drove the man there. The man appeared to be happy that he’d have a secure place to stay, meals and a job. Wishing all dads, stepdads, guardians and Big Brothers a Happy Father’s Day. What’s one favorite memory of your Dad? Your father sounds like a good man–wise and compassionate–and also fun, it seems from this “clowning around” photo. Beautiful post, Judy. Your father reminds me of mine, in many ways. My Dad died when I was 10 so I don’t have as many memories. I do remember that he made me feel special and loved. Oh, what wonderful memories you have of your Dad. And how fortunate we are or were to have Dads as solid symbols of right and kindness. These are lovely stories Judy and of course remind me of my Dad who died when I was 24. He was a Hungarian immigrant who became a naturalized citizen in the U.S. and taught me the value of freedom. You’re right, Dora. We were very blessed to have wonderful fathers to show us what is really important. Judy he sounded like an amazing Father. What a beautiful tribute and thanks for sharing those photos. My dad use to be this way, very compassionate to everybody. Many a time he would introduce us to someone he was helping out. I often wondered how he helped them when he had nine mouths to feed at home. But he would give you the shirt of his back if he thought it would help. When he passed we found a suitcase full to the brim with thank you letters. He had kept every one. Not sure who my dad … I called my grandfather Dad and he had many characteristics of yours. Another man in my life was Uncle Santos or Sam — He had all your dad’s traits and still wonder but he’d be my choice for my dad! Indeed they are important whoever they are as long as they are there! Such a beautiful tribute to your father, Judy. He sounds very much like my own. I’m blessed to still have my father in my life…couldn’t imagine life without him, but I know one day that will happen. One of my favorite memories of my father was when he tried to teach me how to drive a stick shift. Hi, Judy! Sorry to have been a stranger. Just been playin’ catch-up here, and your posts, as always, are wunnaful. Especially loved this one about your dad. “The bicycle is not in the garage.” Ha! That made me laugh. It has the makings of a great catch-phrase, the perfect way to say: “This is not the time…” That court case sounded like a down-home version of 12 Angry Men, with your dad playing Henry Fonda! Excellent. Lovely post, my dear Judy, thanks so much for sharing! Thank you, Mark. Your comments leave me teary-eyed. In a good way as I remember growing up with my Dad. I did use that “bicycle is not in the garage” to a colleague once who wanted to know if I’d gotten the promise of a job at our school. I got the promise of a job, but at that time it did not state specifically where. My Dad as Henry Fonda in “12 Angry Men.” I like that. It’s fitting. And, yes, Dad’s – and Mom’s – compassion toward a stranger in winter has stayed with me all these years. 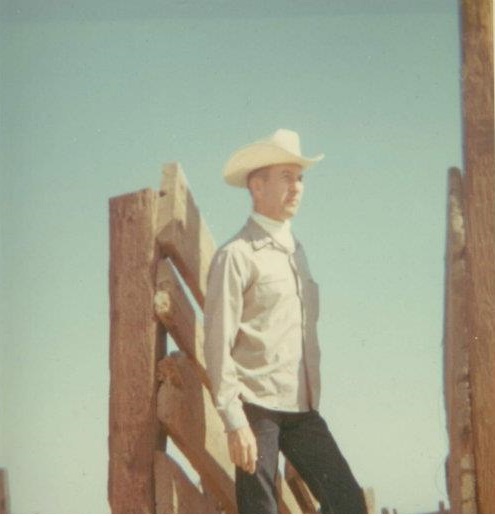 Your dad was a prince, way better than the Marlboro man – ha! Those “little scraps of wisdom” have turned into a compass for your life. His cleverness is also laced with humor: I smile at his “the bike is not in the garage” comeback to your strong wish for a new bike. Favorite memory? My father had compassion for a boy in our church whose father died young – taking him hunting and fishing as a surrogate dad. Also, in their fifties Mother and Daddy took wayward mothers into their homes on weekends so they could have time with their children as they progressed through a program of rehabilitation called New Life for Girls. One of these girls sang his praises at Mother’s funeral last August. Favorite quote: The one by Umberto Eco. I especially like the photo of you and dad beside the car. It seems I remember a similar one in anther post. I write about Dad too in this week’s post. Thanks, Marian. That photo of Dad by the car is the same one. It seems my folks weren’t big on taking many photos as I grew up. And, some of the ones they did take, are not up close shots so they’re harder to see those in it. Your father sounds like a peace. How wonderful to be welcoming to those who are less fortunate and show them some good times. A wonderful tribute to your dad, Judy. My favorite was that he didn’t like to promise anything that he didn’t already have. My dad was the same way, and at the time I didn’t understand it. But the older I get, the more I appreciate it. Your Dad taught you some of the most important values . Share kindness with someone and it just comes bouncing back . 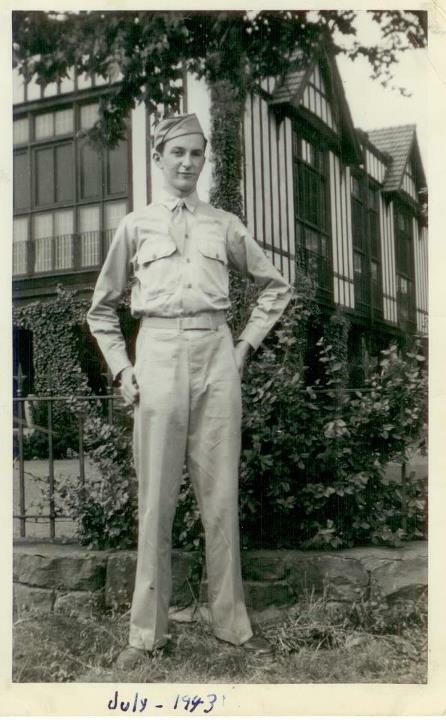 I have just shared a flavorite memory of my Dad with Marian on her blog and know you’re a follower . This is another of my favourite moments . You know over here in the UK we have Guy Fawkes night ? Take yourself back to the 1970’s I was about 13 and I wanted us , me and Dad , to make a Guy and put him on our bonfire . We had a terrible row , me and my Dad , You see every year was the same I wanted a bonfire and fireworks and yet I was terrified of them . I would hide in my bedroom when my Dad let them off and every year he said that was the last time . So he refused point blank that day ,and been hot headed , I stormed off , not for an hour or two but the whole day . When I eventually came home , well I was hungry wasn’t I ? There in the porch was a Guy and I’d walked right past him . So we had another bonfire night . I don’t remember running to my bedroom …he must have cured me with kindness. Great tribute, Judy … a solid-as-a-rock man who erred in the direction of kindness. This is a marvelous tribute to your dad, Judy. He taught you well, my friend. And you look so much like your handsome father! Your portrait of your father sounds like one of the good guys in a Western, Judy. I am not being flippant but truly impressed your Dad was like the father in Shane who has to be strong, firm, honest and lead others to do the right thing. I believe in this kind of man whose word was like a contract. I started my post about my own Dad with the challenging and inscrutable Italian author, Umberto Eco. It is amazing how clear his words about a father’s lessons were. This post was a real treat and maybe you will tell your theatrical and creative daughters who I thought your father resembled in spirit. Well, still he really impressed me with the lessons he demonstrated in his life. Actions speak louder than words. Especially when he could have turned the man away fearing he may be a thief or dangerous. This showed kindness and trust in this man. By taking the time to help the man, this went the extra mile, Judy. I should not have mentioned the Jimmy Stewart movie. Your Dad would never get to that sad place. He had an indomitable spirit, from what I read. Lovely tribute to you Dad, Judy. My Dad died in 2009 after being ill with dementia for the last few years. Now I’m able to remember him as he was before the disease took hold – fair, full of humour and strength. A special memory I have of him was being allowed to work with him during school holidays in his little antique jewellery shop. Giving me responsibility for emptying the windows at the end of the day and putting the stock in the safe was a wonderful thrill . Those times that we shared with our dads are some of the best memories. Thank you for sharing yours, Jenny. What a lovely tribute, Judy, and wise words to live by.